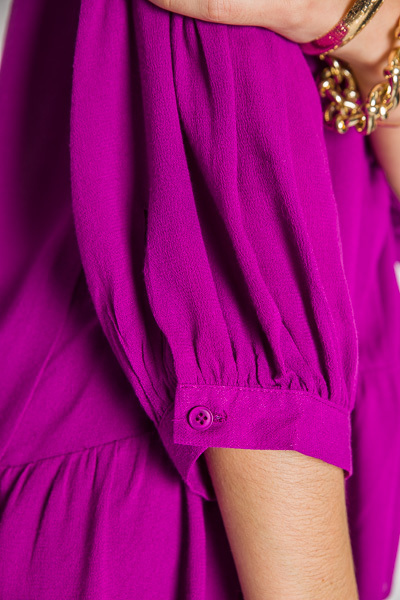 A babydoll fit with a vibrant magenta hue.. SO FAB!! Top has pleating at the shoulders which create a cling-free, swing shape. 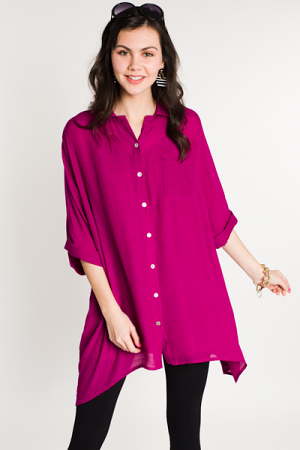 Material is soft and airy, and 100% rayon. Fit is true to size, if not a bit roomy. Model is wearing size small. 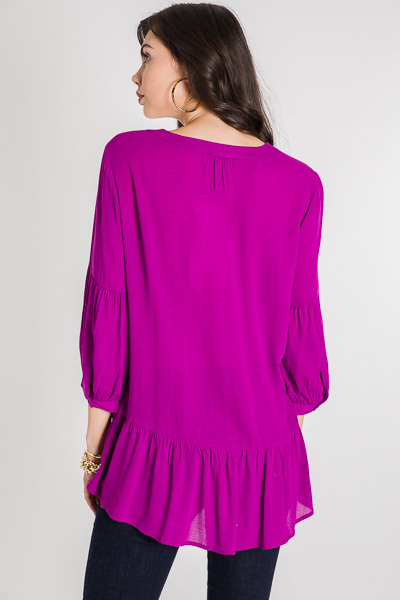 Length measures approximately: S=26/27" M=27/28" L=28/29"